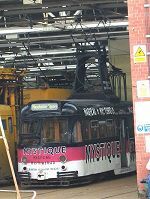 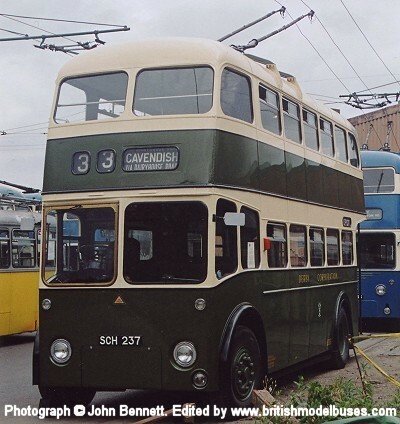 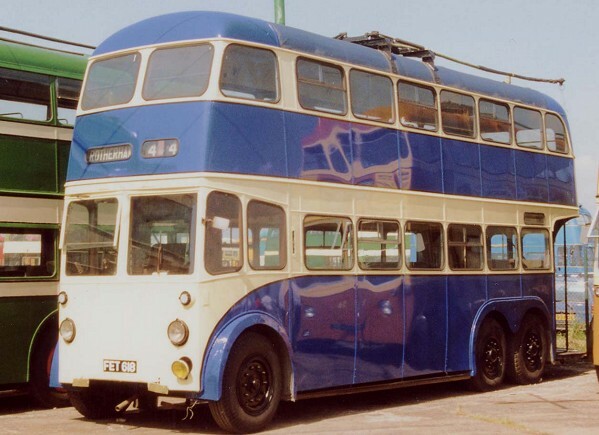 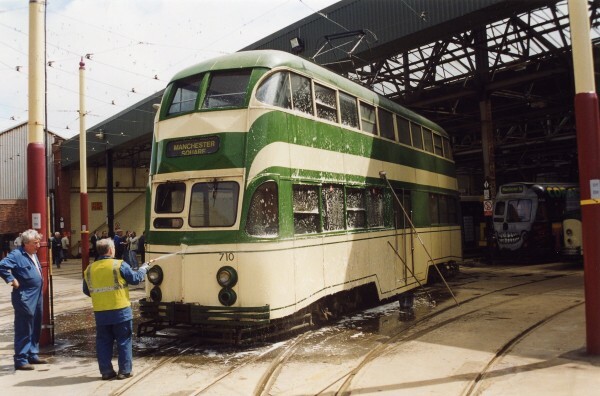 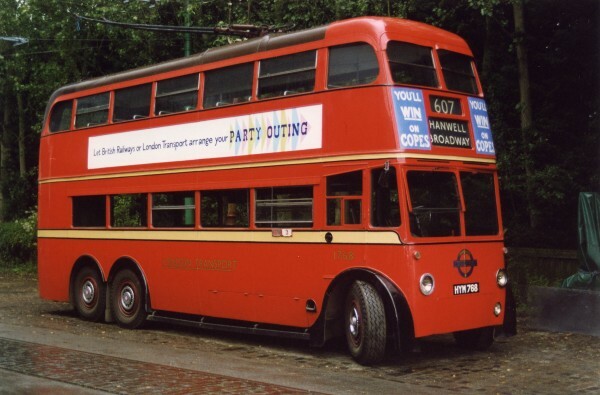 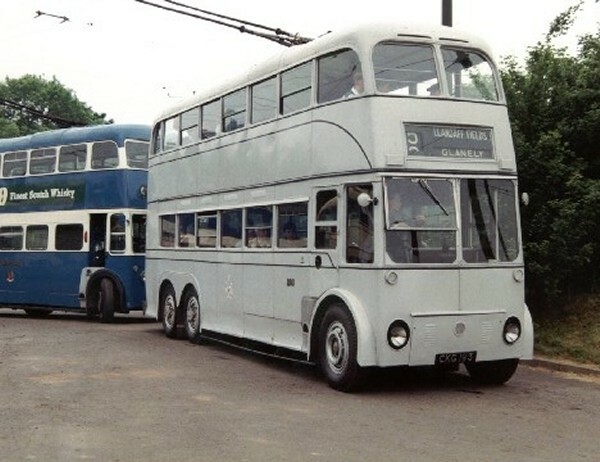 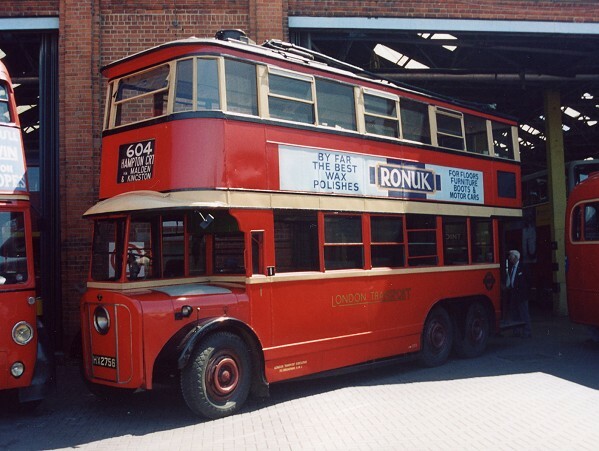 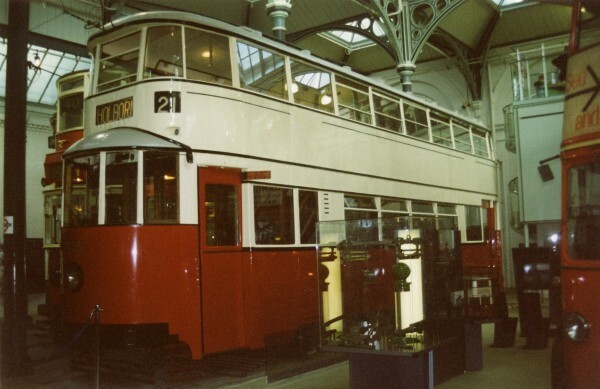 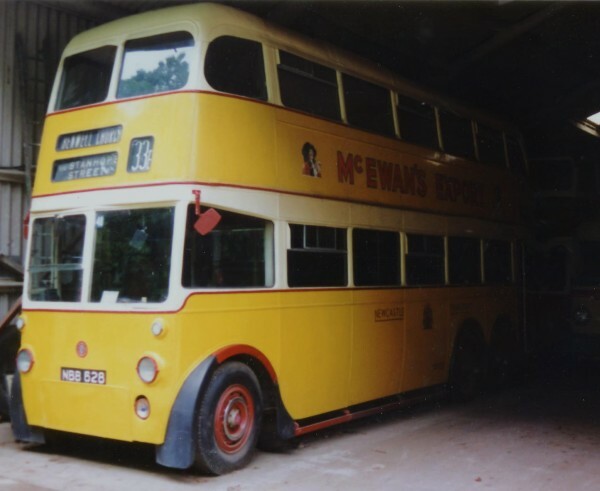 This photograph shows Newcastle Trolleybus fleet number 628 (NBB628), in the shed at the East Anglia Transport Museum at Carlton Colville in June 1990. 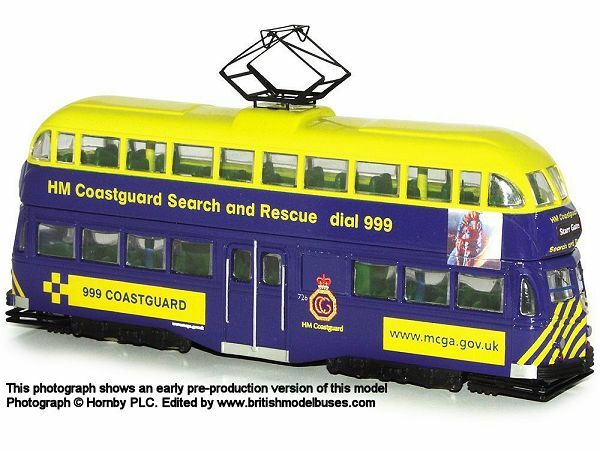 This is the actual vehicle represented by Corgi OOC model 43705. 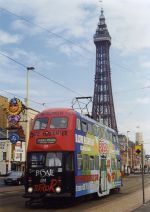 This photograph was taken at the Cliffs Hotel on 16 July 1998 during the Blackpool & Fleetwood Tramroad Centenary week. 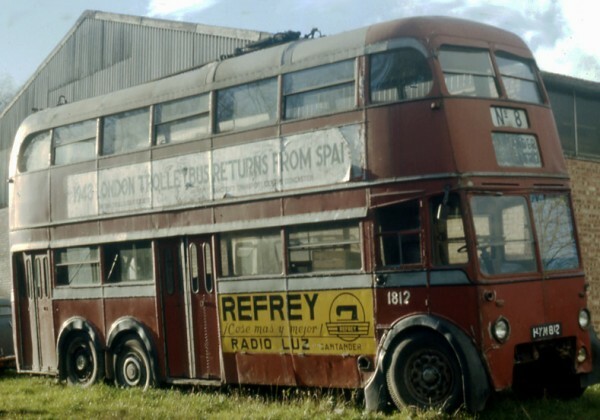 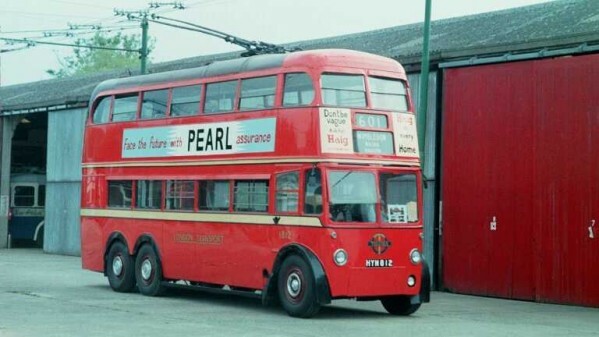 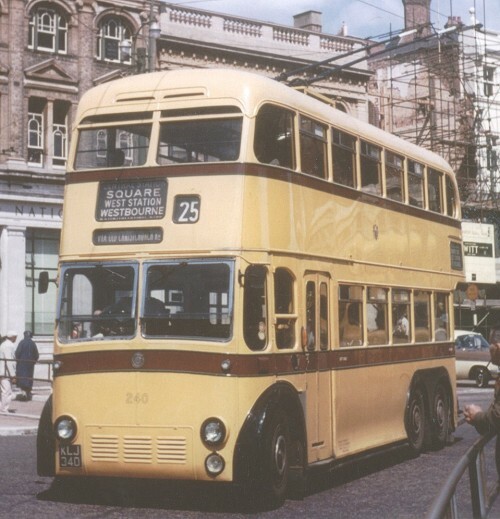 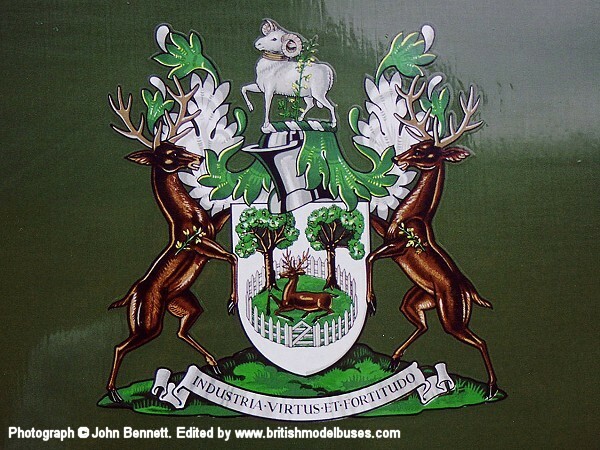 It shows fleet number 237 in wartime livery. 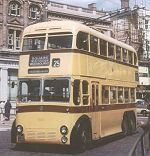 Corgi OOC represented fleet number 257 in this livery as model 43502. 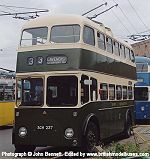 237 and 257 differ in that 257 did not have the rooflight windows that can be seen in the photograph. 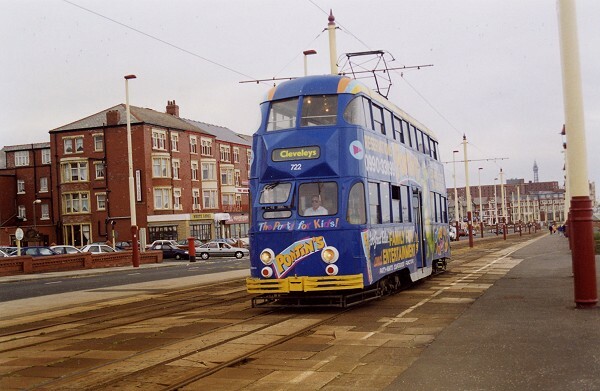 This photograph was taken on 15 July 1998 during the Blackpool & Fleetwood Tramroad Centenary week. It shows fleet number 717 in 1990's livery near to the Cliffs Hotel. 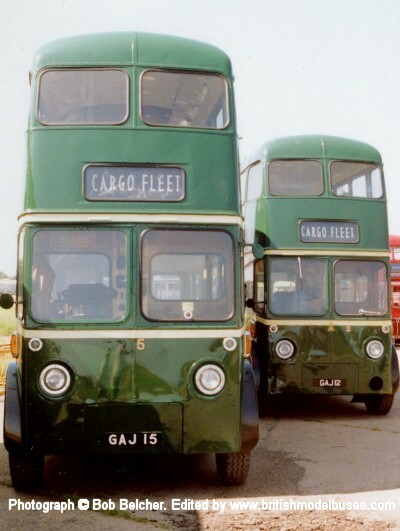 Corgi OOC represented fleet number 715 in this livery as model 43509. This photograph shows the above taken at dusk. 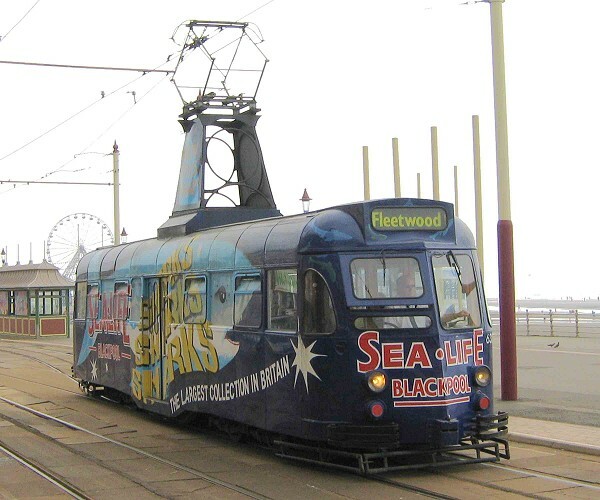 This photograph was taken at the start of the day at Starr Gate prior to the first trip of the day to Fleetwood and shows the front view of the above. 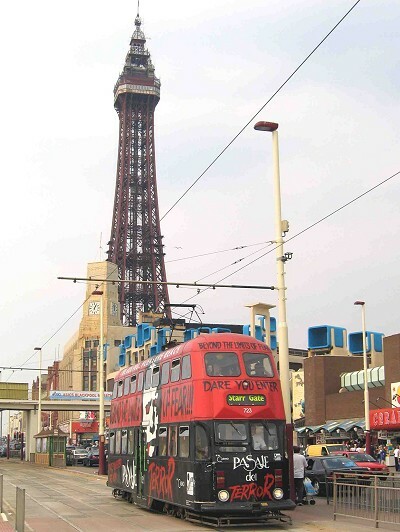 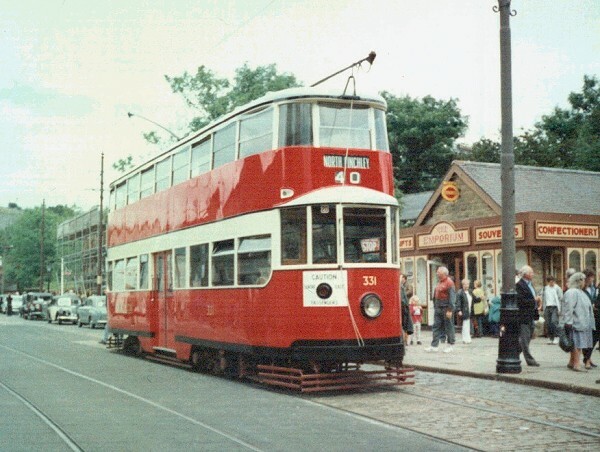 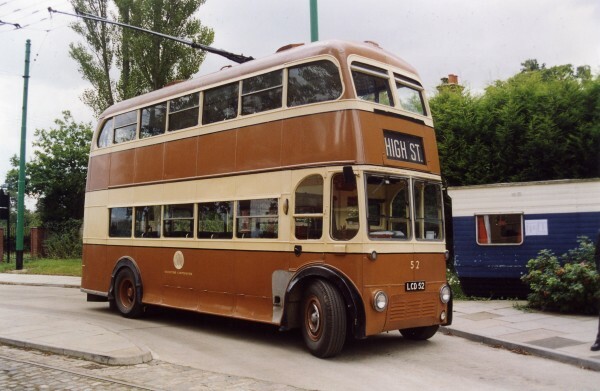 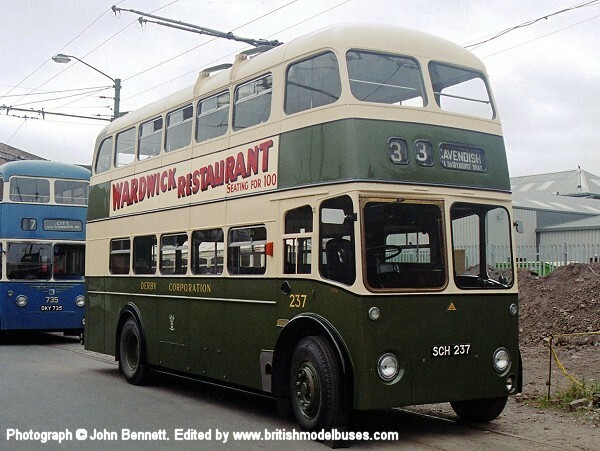 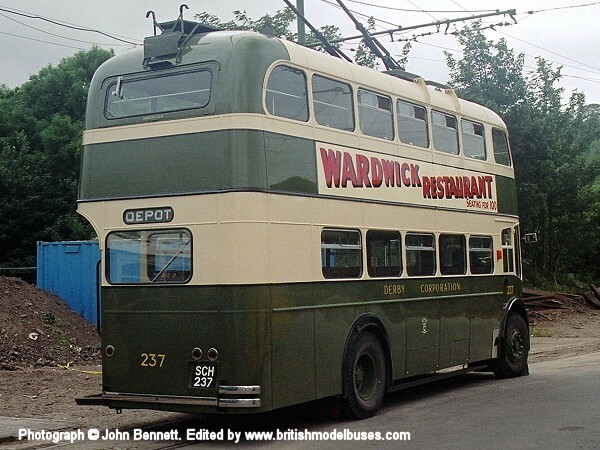 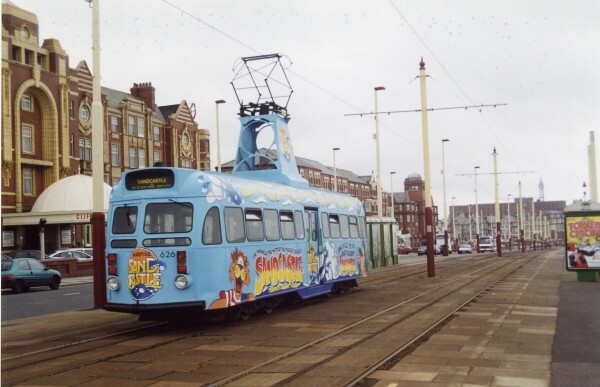 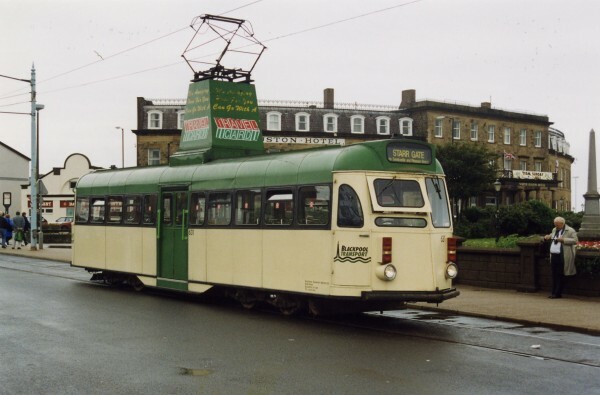 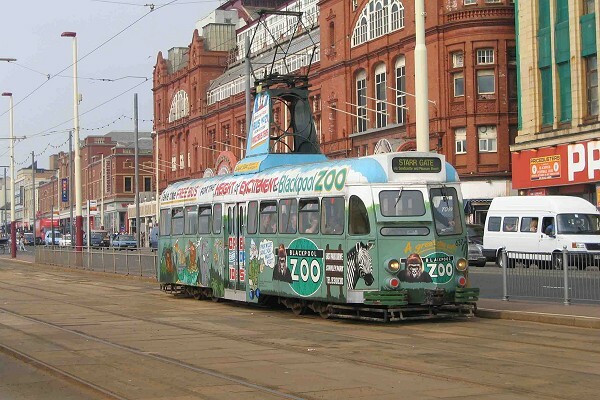 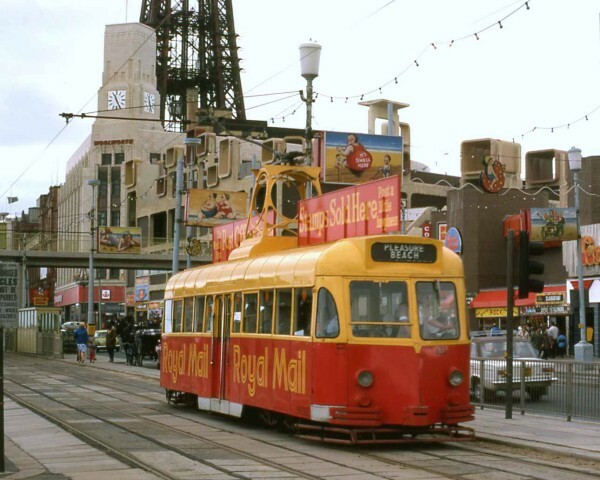 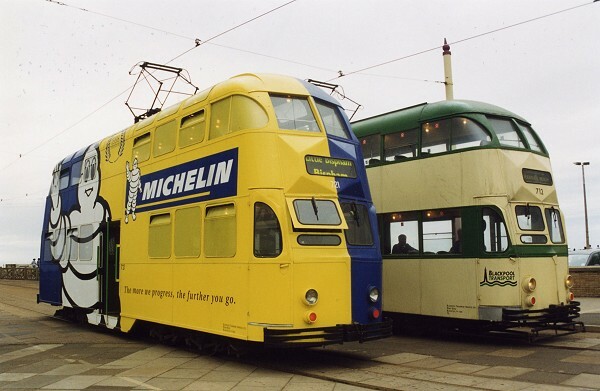 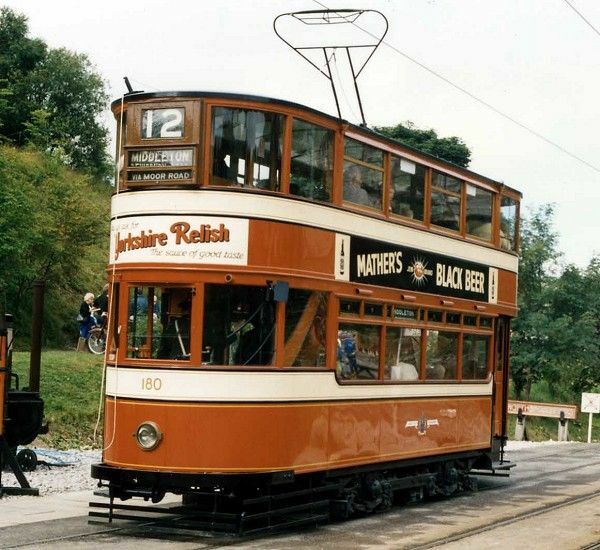 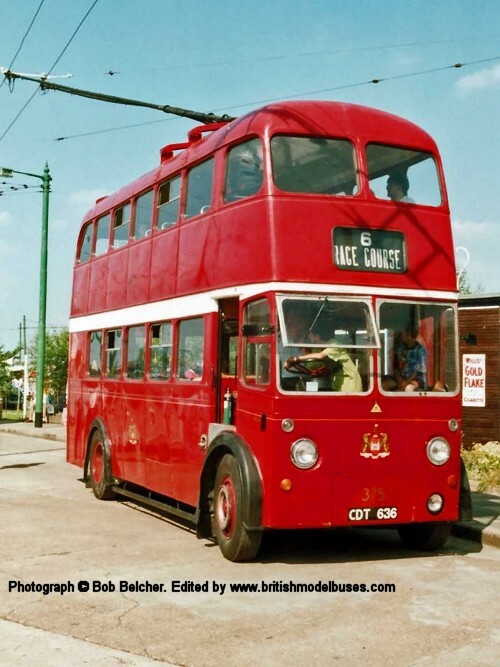 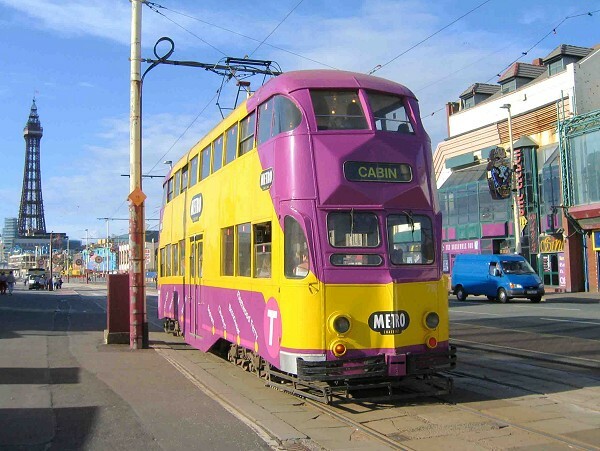 This photograph was taken during the Blackpool-Fleetwood Tramway Centenary in June 1998. 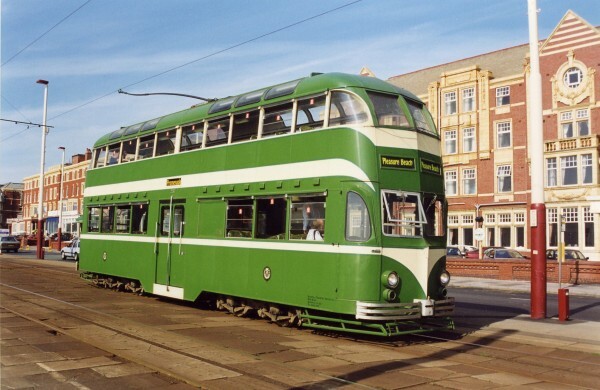 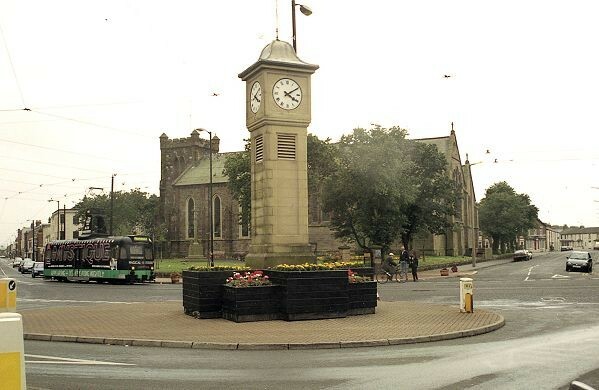 It shows an unidentified railcar in the green "Mystique" livery passing the Clock Tower in Fleetwood. 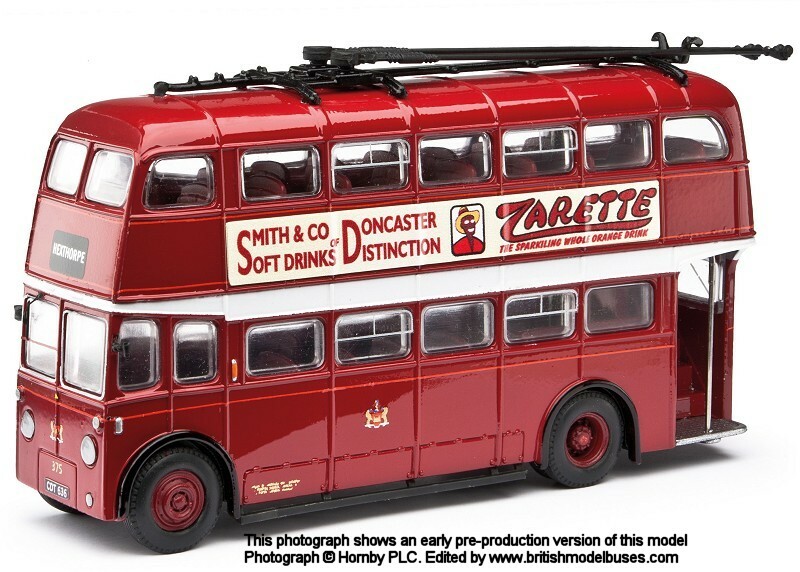 Corgi OOC showed this livery in their January - June 2002 catalogue on model OM44004 although the final production version of the model displayed the "pink" livery as shown on this site.